This Winter, what we treasure brings us together in Kepler’s Dream! Sean Patrick Flanery (The Boondock Saints, Powder), Kelly Lynch (Mr.Mercedes, Charlie’s Angels), and Holland Taylor (The Truman Show, Two and-a-Half Men) star in director Amy Glazer’s highly anticipated feature adaptation of the hit YA novel by Juliet Bell, in theaters and InDemand December 1st from Leomark Studios. Eleven-year-old Ella (Isabella Blake-Thomas) is a city girl forced to spend the summer on the New Mexico ranch of her reclusive grandmother, Violet Von Stern (Holland Taylor), while Ella’s mom (Kelly Lynch) undergoes chemotherapy in another state. As she tries to cope with her grandmother’s strict rules and snooty friends, Ella longs for her mother and begs her estranged father for rescue. But Ella’s dad (Sean Patrick Flanery) has his own reasons to stay away from his childhood home. 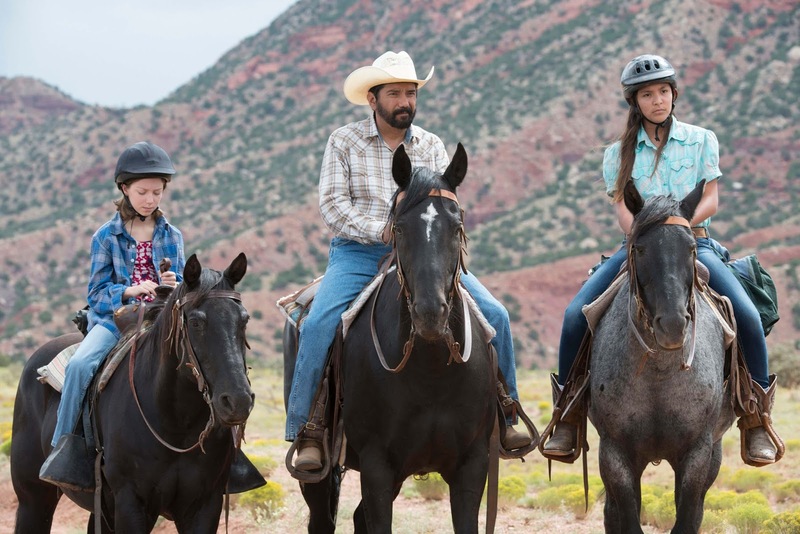 Meanwhile, Ella finds allies in fatherly ranch hand Miguel (Steven Michael Quezada) and his down-to-earth daughter, Rosie (Esperanza Fermin). But when a priceless book is stolen from Violet’s collection, Miguel is the key suspect, and Ella must find the real thief in order to save her friends. Emotional connections are reshaped, and a family that was lost finds its way. The music of Patrick Neil Doyle helps tell this unusual and heartwarming story. AG: Thank you. Well to me it felt like an eternity because I'm use to the rhythm of creating theater (my first language and love) where you work like a dog for a month or so and then the show opens and you get an immediate response from the critics, and then the show closes – the set is taken down and you move on to the next project, and only those who saw the show will ever know what you did. With film, you work like a dog for a month or so (we shot this in 22 days) and then there is this layering process called the edit and post production which takes months and sometimes years. And you shepherd it along and imagine that one day it will reach people… But unlike theater, there is no set opening date, and you lived with the possibility that all this effort and work and money might never see the light of day. So then you go through the festival circuit and at least get a sense of how people respond… And then you pray that some distributor will find value in this enormous effort and take on your film. So after all that, getting a theatrical release and knowing the film is finally getting out into the world really does feel like Christmas! TMS: While you could’ve relied on your brother Mitch Glazer to get the movie up, It would seem you’ve relied a lot on your own smarts, resources and, likely, finances to make things happen for yourself? Is that fair to say! AG: I don't rely on my brother to get my movies made, I rely on my brother for his brilliant dramaturgy and script work. Mitch is probably the best script doctor in Hollywood (but don't tell anybody) that's my secret… And with all of my films he is the first to read my adaptation and give notes. With this one, the character of the father was practically non-existent in the novel, and he was the one who said the father is such an important foil to the story and he helped me fill that in. The confrontation scene where the daughter turns on her dad and basically says what kind of father behaves this way – really the obligatory scene in the film – was my brother’s! He is my best friend and my greatest support when it comes to my work as a filmmaker. TMS: I also imagine it’s a game of ‘who you know, too’. 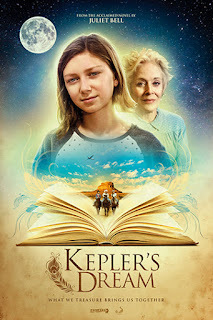 How much have some of those contacts, and influential mentors, played a part in getting Kepler’s Dream made? AG: Honestly, it didn't play much of a part, except my brother, when reading the script for notes, called and said I think Kelly (Lynch) his wife and my sister-in-law would be great as the mother. I thought about it, for maybe a minute, and said terrific… We had been trying to work together for years and this ended up being a beautiful opportunity and a really satisfying experience for both of us. It certainly enriched our relationship. The rest of the cast came through an amazing casting director, Kerry Barden from Barden Schnee, who takes on one Indie indie film a year that he believes in… And lucky for me, he believed in us! TMS: What part of this story intrigued you so much you had to bring it to film? AG: It was less the story and more the character of Ella who spoke to the 11-year-old girl in me – someone who is still very much alive – and also because I have struggled my whole life with separation anxiety, and I guess my greatest fear has always been having to separate from my mother who died unexpectedly in a car accident 10 years ago. But the story spoke to my childhood fears of losing her and my adult dealings with separating from her finely. I found the story comforting, and I love the notion that somewhere, up in the stars, she is still guiding me and speaking to me. Also I love the notion of extended family, and I was moved by the makeshift family that emerges in this story through these characters. I like to imagine that they will see each other every summer for the rest of their lives… Structurally, I liked that the story had this piece of dramatic irony this “bomb under the tea table” Inherent in it –in the form of family secrets that have crippled a generation. And I wanted to capture that both in the environment and in the subtext that informed the family’s behavior. And that was something I wanted to explore with this film as well. TMS: Can you relate to it? How close do you feel to the source material? AG: So yes, I can totally relate to the story and I do feel close to the source material through my inner child who is still very much alive and well inside of me. TMS: Is it fair to say the movie is a real mix of genres? AG: I think so, the mystery part, which I tried to underplay, always felt a bit Nancy Drew to me, but I also believed that setting up a mystery that our young hero could solve, tells the story I want to tell about young girls being proactive, capable and in control of their own destiny. TMS: Do you feel the location is as much a star of the movie as the actors are? Would it have worked as well somewhere else? AG: This was a topic of much discussion because shooting. LA for New Mexico ultimately would've cost less, but the more I spent time in New Mexico scouting locations and learning about the original source material and the original grandmother this was inspired by, the more I realized that New Mexico was indeed a character in this story. 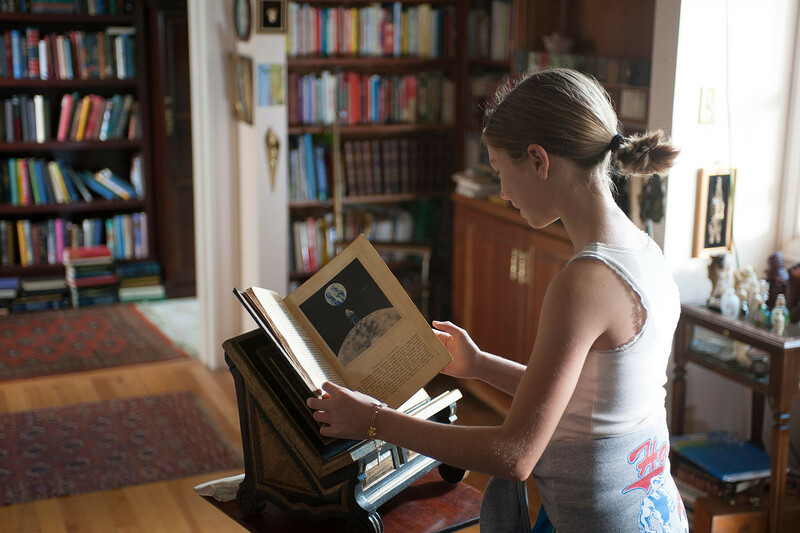 For Ella it was like going to the moon – and for me as well, as this was my first experience in Santa Fe and Albuquerque, I understood how surreal the transition was and felt the juxtaposition between these two worlds was essential to the visual dynamics of the film. TMS: Speaking of, How was it like working with the younger cast members on this movie? AG: It was wonderful. She was sharp and focused and professional. 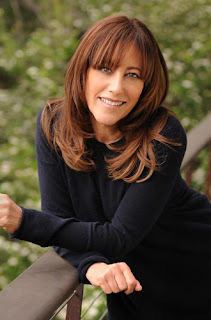 When I first met and tested her she reminded me so much of Sylvia Brownrigg, the author of the novel, and I knew I had someone special to tell our story. Then I began directing her in the context of the screen-test and it was even more apparent to me that she was our Ella because she adjusted so effortlessly and really understood my direction. She, like the character in the film, is a precocious, astute young woman; an old soul in a little girl. TMS: Have you another film in the works? I actually have several, hoping I can get one made!